There exists among many people a deep-rooted and enduring belief that although animal experiments have moral difficulties, they are of value for researchers into human medicine. Although this belief is founded not in fact but in assumption, it does require some effort and strategy to explain why animal experiments are a poor method which should not be continued. In Richard Adams' fictional book ‘The Plague Dogs’, an animal researcher explains his practice to his young child. This really is the basis of the animal experimentation position. In most cases, the case doesn’t get much more complicated than this. We model a disease in animals, then try to find things which will cure the illness. At this simple level, it even seems to make sense, and despite the strong anti-vivisectionist stance presented by the book, which details the suffering of the animals involved, this statement can often leave the reader wondering that perhaps, after all, animal research is justified. b) Find which treatments work on this animal model. Dismantling one of these steps represents a major blow to the argument; it is relatively straightforward to dismantle both. A common word among the published papers of animal researchers is ‘mimic’. The animal is said to ‘mimic’ the human condition. This means that it exhibits some aspects of the condition, not that it has the same illness. This is the basis of much animal experimentation method. Claude Bernard wanted to study human fever, which was accompanied by a high body temperature, so devised an oven which would enclose all of a dog’s body apart from the head – which would raise the body temperature. Clearly this was not the same condition as that suffered by human fever victims, with the complex chemical reactions and biological reactions that they experienced. Many laboratory models today may be used because they show some similar symptoms, although having the same biological problems is something very different. There are over 30,000 illnesses that humans are known to be susceptible to. Yet despite many years of determined efforts with animals, even the most optimistic claim is that there are 350 diseases which can be modelled in animals. This represents 1.16% of all human diseases, meaning that for the vast majority of human illnesses - over 98.5% - there is no animal model. This is bad news for defenders of the animal model, but it gets worse. Many of the models claimed to be in use are subject to severe problems. The claim that an animal model exists is tempered by discoveries that the model is beset by so many and/or so notable differences that comparison is untenable. For example, Cystic Fibrosis (CF) is one of the examples used most enthusiastically by a pro-vivisectionist lobby group in defence of the practice. The reason or this is unclear to those who know the nature of the illness, as the animal model is extremely poor. 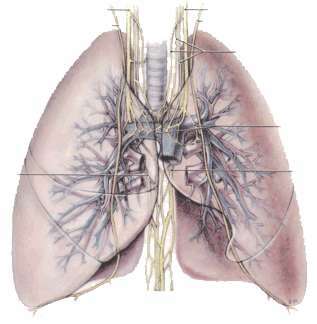 CF patients are afflicted by a build up of fluid in the lungs caused by the serous glands. It’s a disease that can and does kill people young. That mice should be claimed as a good model is unexpected, as their short lifespan is unhelpful for a progressive disease, and their horizontal lungs are unlike the human lungs, which are vertical. The rodent model has a gene altered, and this is the gene which is defective in humans, causing CF. But the biological differences mean that altering this gene is not enough to create a model. Mice have no serous glands, and these are the glands which cause problems in humans. 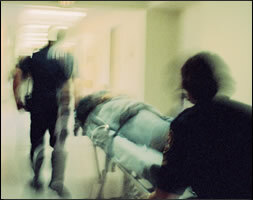 They cannot cause the build up of fluid that spells death for 95% of human patients. In fact, excess fluid is never seen. Read more about CF here. And yet more bad news comes from the discovery that the major illnesses affecting humanity are among the ones with no animal model. Take the biggest killer in the western world. Heart disease in humans is caused by eating a high cholesterol, high fat diet. Attempts to replicate this in animals have been determined, but they have all failed. Experimenters started by feeding commonly used lab animals such a diet, but could never get the key result – narrowing arteries. They moved onto other animals including bears, pelicans, kangaroos, seals, sea lions, chimpanzees, baboons, gorillas, pigs, horses, parrots, ducks and chickens. They all failed. There is no model for human heart disease. Fortunately this does not impact on medical research because there is an abundance of human patients who can be studied, and the technology enabling this is very helpful. The failure to create animal models is now well documented, and you are encouraged to read more about this on this site and elsewhere. But or now, we’re going to consider what the case would be if modelling illness in animals is worthwhile, and look at the development of cures. The idea of this part of the process is simple. We try a medication on an animal and see whether it works, and whether it is safe. Unfortunately for experimenters who practice this, the animals are far more likely to be wrong than they are to be right. 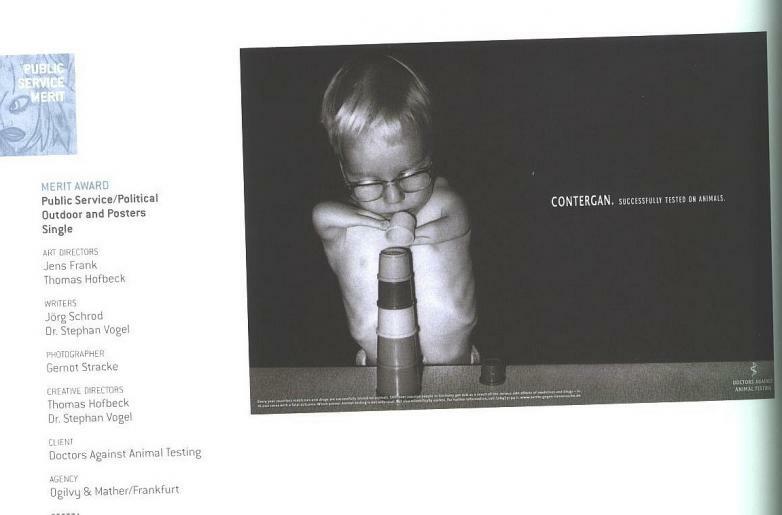 Statistical studies have established that animal experiments are less accurate than flipping a coin. This is a fact which can be proved by referring to evidence directly from the animal lab. Consider for example that the overwhelming majority of drugs that are approved following all the animal tests fail at the very first time they are introduced to human patients. Industry figures show that 92% fail at this stage, showing that the animal tests – which will at this stage have crossed a range of species, are a very poor indicator indeed. This failure is well documented, and is some areas animal tested medications have been available in large numbers, yet none actually work in humans. Studies of stroke medications show this to be the case, with none reaching approval in humans. Spinal cord damage was an area of success in animal testing, but a study of all 25 drugs discovered this was over a period showed none helped people. HIV vaccines have also been developed, but humans still await the first vaccine that works with human cells in a human body. Aside from whether a medication works, animals are also used to ensure they’re safe. With many thousands of people killed and injured every year from medications that do more harm than good, this area is an important one. Yet the knowledge that animals are poor predictors is well known. One expert estimated: "…the best guess for the correlation of adverse reactions in man and animal toxicity data is somewhere between 5% and 25%". The 25% figure was supported by another who said: "as a very approximate estimate, for any individual drug, [only] up to twenty-five percent of the toxic effects observed in animal studies might be expected to occur as an adverse reaction in man." . And another study found that three quarters of adverse reactions that the animals did predict did not happen in humans! There is a great deal more data on this matter, which can be read here. 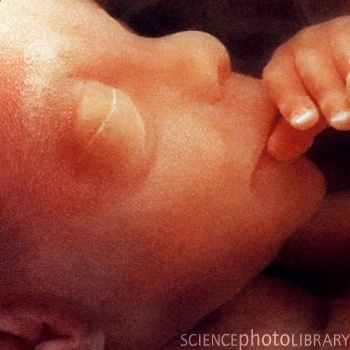 But before closing, we should consider a common use of animals – to detect chemicals which damage babies in the womb. 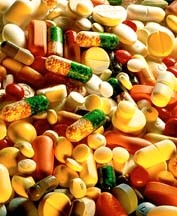 Research has shown that there is no animal that can reliably predict which drugs damage the unborn baby. Tests on pregnant monkeys would approve 70% of drugs known to cause human birth defects, as if they were safe. This means they would be less effective than tossing a coin. Animal tests are just not capable of predicting what is safe or unsafe for pregnant women to take. Meanwhile, animal tests have also identified a large number of chemicals as dangerous to pregnant women. Researchers have examined this list for possible risks to humans, but it has rapidly become clear that it has little relevance to humans. The list includes water, oxygen, vitamins, fruit juices, vegetable oils and naturally occurring hormones. Experts concluded that 97.5% of this list was comprised of substances that were totally safe for pregnant women to take. The central argument of the animal experimenter is that it is either possible to model an illness in animals, or to test potential treatments for safety or effectiveness in animals. Often they argue that they are both possible. The reality is that each species has so many differences on so many different levels, that neither step is possible. That fact is proven by the information above. The animal experimenter is further hampered today by two further developments. One is that we know the basics of biology and want to study illnesses and biology is detail. In the past, basic similarities encouraged animal experiments. 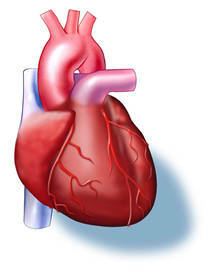 Animals had hearts and circulating blood – there was a similarity. Now we’re looking in so much detail, there are just too many differences. The other is that modern medicine looks at the individual cells of each species. Here, greater differences are becoming apparent. The reality is that there are far better methods available – methods that make animal testing appear (as it is) very much an outdated, ineffective option. You can read about them here. If animal testing were abandoned today, not only would it free up more time, money and expertise for these incredible methods, but it would also enable the development of further methods. Perhaps more valuable would be that it would stop scientists and health professionals from being diverted and misled by false animal results. 12 Poignard P, Sabbe R, Picchio GR, et al. (April 1999). "Neutralizing antibodies have limited effects on the control of established HIV-1 infection in vivo". Immunity 10 (4): 431–8. doi:10.1016/S1074-7613(00)80043-6. ISSN 1074-7613. PMID 10229186. Berman PW, Gregory TJ, Riddle L, et al. (June 1990). "Protection of chimpanzees from infection by HIV-1 after vaccination with recombinant glycoprotein gp120 but not gp160". Nature 345 (6276): 622–5. doi:10.1038/345622a0. ISSN 0028-0836. PMID 2190095. Connor RI, Korber BT, Graham BS, et al. (February 1998). "Immunological and virological analyses of persons infected by human immunodeficiency virus type 1 while participating in trials of recombinant gp120 subunit vaccines". Journal of virology 72 (2): 1552–76. ISSN 0022-538X. PMID 9445059. PMC 124637. http://jvi.asm.org/cgi/pmidlookup?view=long&pmid=9445059. Morgan C, Marthas M, Miller C, et al. (August 2008). "The use of nonhuman primate models in HIV vaccine development". PLoS Med. 5 (8): e173. doi:10.1371/journal.pmed.0050173. ISSN 1549-1277. PMID 18700814. PMC 2504486. http://medicine.plosjournals.org/perlserv/?request=get-document&doi=10.1371/journal.pmed.0050173. 19 Turbow, M. M., Clark, W. H. and Dipaolo, J. A. (1971). Embryonic abnormalities in hamsters following intrauterine injection of 6-aminonicotinamide, Teratology 4 (4), 427–431. Nishimura, H. and Miyamoto, S. (1969). Teratogenic effects of sodium chloride in mice, Acta Anat. (Basel) 74 (1), 121–124. Beall, J. R. and Klein,M. F. (1977). Enhancement of aspirin-induced teratogenicity by food restriction in rats, Toxicol. Appl. Pharmacol. 39, 489–495. Klein, K. L., Scott, W. J. and Wilson, J. G. (1981). Aspirin-induced teratogenesis: a unique pattern of cell death and subsequent polydactyly in the rat, J. Exper. Zool. 216, 107–112. Slone, D., Siskind, V., Heinonen, O. P., Monson, R. R., Kaufman, D. W. and Shapiro, S. (1976). Aspirin and congenital malformations, Lancet 1, 1373–1375. Werler, M. M., Mitchell, A. A. and Shapiro, S. (1989). The relation of aspirin use during the first trimester of pregnancy to congenital cardiac defects, New Engl. J. Med. 321, 1639–1642. Wilson, J. G. (1977). Current status of teratology. General principles and mechanisms derived from animal studies, in: Handbook of Teratology, pp. 1–47. Plenum Press, New York.